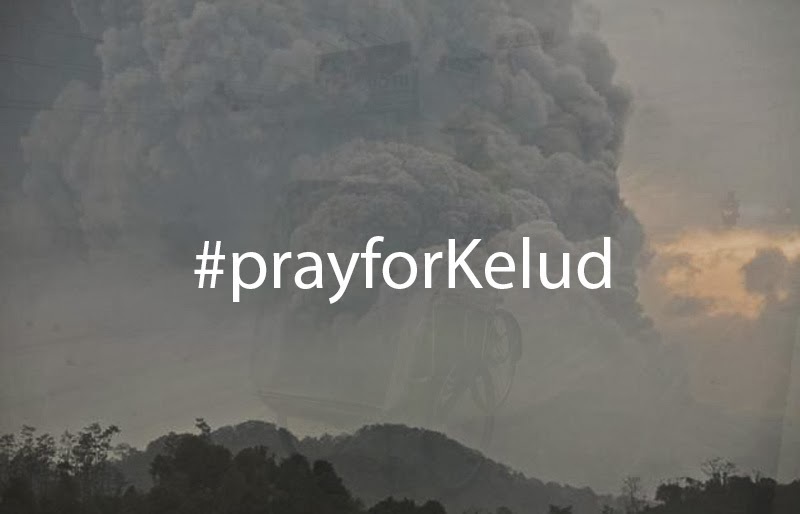 Today, I pray for Kelud. Last night, 13th February 2013, Mount Kelud has erupted, spewing ash and materials like sand and gravel 17km (10 miles) into the air. The ash and sand covered streets and houses at west of Mount Kelud eruption. Based on the news that I read, evacuation process ran well and minimal damage to buildings but still there is death reports even though not verified yet. I hope all the evacuated people keep stay strong and could go back soon to their home and got best service from government. You also can read " how to clean volcanic ash " here. It is very important to know how to clean volcanic ash. I think the link I gave here will be very helpful. We all never know what is exactly that is going to happen at the future. All we can do is just find, read, and understand all the signs sent to us and do our best to face it. That is how we survive, I think. Once you try to avoid the signs, then uh-uh you know you are in trouble and you know there is no need to regret. Well, at least you will learn. PS: I heard the ashes will fly to Jakarta as well, so Jakartans you better put your mask on and pray for Kelud. semoga yang kena bencana tetap tabah dan semoga penanggulangannya berlangsung cepat dan lancar. Amin. Beautiful as it is Indonesia is prone to natural disasters. I'm very glad to read this time there were no serious casualties. I really wish it will stay that way. And that inhabitants of the region and the authorities will energetically organize efficient restoration of damaged properties and facilities.